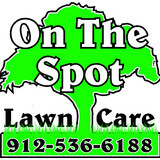 On The Spot Lawn Care provides premium and affordable lawn care service, landscaping, and pressure washing in Statesboro and surrounding areas. 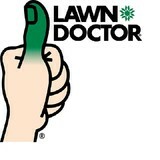 No job is too big or too small as we do both residential and commercial. I go out of my way to beat the competitor's price. 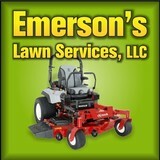 My customer service is unmatched and with my service comes dependability, ease of communication, and professionalism. I stand behind everything I do and operate my business with one thing in mind and that is to treat others as I would like to be treated. Your money is no good to me unless you are happy. Mark 12:31- "The second is this: Love your neighbor as yourself. There is no commandment greater than these." D & H Truck & Tractor, Inc. 9258 Burkhalter Rd. 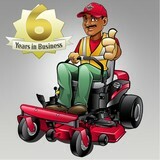 Statesboro, GA 30461, United States 912-842-4333 hermanharville@yahoo.com <a rel="nofollow" target="_blank" href="http://lawnmower-statesboro.com">http://lawnmower-statesboro.com</a> If you live in the Statesboro, Georgia, area, you may already know that D H Truck Tractor is a one-stop-shop for all of your lawn mower and lawn care equipment needs. Whether you need a lawn mower or a custom hydraulic hose, or you're searching for that hard-to-find part, D H Truck Tractor wants you to know that they are there for you. Here are some of the ways that D H Truck Tractor can help you meet your lawn care needs: Repair Services: If you are struggling with a particular part of your mower or something on another piece of farm equipment, take it over to D H Truck Tractor. This expert team is highly trained in both maintenance and repair. 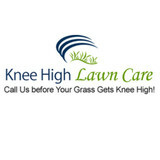 With over forty years of experience in the lawn care industry, they can assist the local pro and the local Joe alike. Ordering Services: D H Truck Tractor has partners around the world who can help you track down even the most difficult-to-find item. Avoid the headache of spending hours on the internet; head straight to D H Truck Tractor. These professionals are known to go out of their way to make the process of locating parts as seamless as possible. Expert Gear:D H Truck Tractor is the most respected dealer of Cub Cadet lawn mowers in the Statesboro, GA, area.They are proud to offer top-of-the-line farm and agricultural equipment to all of their clients. To speak with an expert team member, call (912) 842-4333 today, or visit D H Truck Tractor'swebsite to learn more about their products and services. In addition to the maintenance side of gardening, Statesboro, GA gardeners can help you with garden design and choosing specific plants and grass types for your climate and area. Find a Statesboro, GA gardener on Houzz. Narrow your search in the Professionals section of the website to Statesboro, GA gardeners. You can also look through Statesboro, GA photos to find examples of yards that you like, then contact the Georgia contractor who worked on them.